Hot hot hot!!! 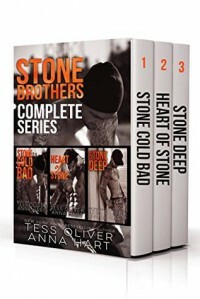 Tess can make you fall in love quick and each book in this box set she does just that. I loved each brother immensely, like crazy love!!! I have my favorite but you have to read all three to pick your own, every one out there loves a different one!